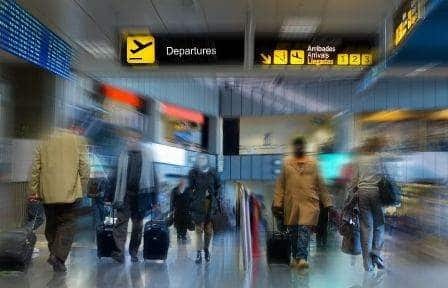 The EU Rights in the Spotlight section for this month features two ECJ judgments and an opinion affecting requests for family reunification, enhanced protection against expulsion of EU citizens and the right to entry and residence of non-EU partners when an EU citizen returns to his home Member State. On 8 May 2018, the ECJ ruled in Case C-82/16, K.A. and Others v Belgian State (Family reunification in Belgium), in cases of family reunification in which a non-EU family member of an EU citizen is subject to an entry ban, whether there is relationship of dependency between the non-EU national and EU citizen or public policy grounds justify the entry ban must be assessed on a case-by-case basis. The ruling follows the expulsion and entry ban of nationals of a number of non-EU countries from Belgium, with the subsequent entry ban based on grounds of a threat to public policy. The individuals concerned subsequently applied for a residence permit on the basis of a dependent relative of a Belgian citizen, parent of a minor Belgian child or a lawfully cohabiting partner of a Belgian citizen. The Court recalled its case-law on EU citizenship, according to which there are very specific situations in which, despite the fact that the EU citizen concerned has not made use of his freedom of movement, a right of residence must nevertheless be granted to a national of a non-EU country who is a family member of that EU citizen. That holds true where, as a consequence of refusal of such a right, that citizen would be obliged in practice to leave the territory of the EU as a whole, thus depriving him of the genuine enjoyment of the substance of the rights conferred by that status. On 17 April 2018, the ECJ ruled in Joined Cases C-316/16 and C-424/16, B v Land Baden-Württemberg and Secretary of State for the Home Department v Franco Vomero, that the requirement of having ‘resided in the host Member State for the previous ten years’, which is also a prerequisite of eligibility for that enhanced protection, may be satisfied where an overall assessment of the citizen’s situation leads to the conclusion that, notwithstanding his detention, the integrative links between the citizen and the host Member State have not been broken. On 10 April 2018, Advocate General Bobek issued an opinion in Case C-89/17, Secretary of State for the Home Department v Rozanne Banger, stating that the requirement to facilitate the entry and residence of the partner of an EU citizen with whom he/she has a durable relationship, where the EU citizen has moved to a Member State other than that of which they are a national, does not automatically confer a right to residence, but Member States must undertake an extensive examination of the personal circumstances of the non-EU citizen and justify any refusal of entry or residence. The Advocate General takes the view that the Court should place more emphasis on the fact that, rather than being discouraged ex ante, a person should not effectively be penalised ex post for having exercised free movement rights. He considers that such a disadvantage arises in cases where, even though ‘returning’ citizens are subject to the same regulatory regime as nationals who have never exercised free movement, national rules do not acknowledge family ties created or strengthened in another Member State. Objectively different situations cannot and should not, in his view, be treated the same.